Glen Garber, a contractor, has seen his business shaken by the housing crisis, and now his wife, Sheila, is taking a business course at night to increase her chances of landing a good-paying job. But she should have been home by now. With their eight-yearold daughter sleeping soundly, Glen soon finds his worst fears confirmed: Sheila and two others have been killed in a car accident. Grieving and in denial, Glen resolves to investigate the accident himself—and begins to uncover layers of lawlessness beneath the placid surface of their Connecticut suburb, secret after dangerous secret behind the closed doors. Propelled into a vortex of corruption and illegal activity, pursued by mysterious killers, and confronted by threats from neighbors he thought he knew, Glen must take his own desperate measures and go to terrifying new places in himself to avenge his wife and protect his child. 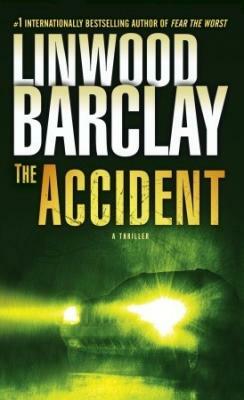 Linwood Barclay is a former columnist for the Toronto Star. He is the #1 internationally bestselling author of nine critically acclaimed novels, including The Accident, Never Look Away, Fear the Worst, Too Close to Home, and No Time for Goodbye. Multiple titles have been optioned for film. He lives near Toronto with his wife and has two grown children. He is currently at work on his latest thriller, to be published by Bantam in Summer 2012.